Merrill Brown is taking what he's learned at MSNBC.com, Court TV, News21 and the startup world to rethink media education at Montclair State. “Those who can, do; those who can’t, teach.” It’s a disparaging take on teaching from George Bernard Shaw’s “Man and Superman.” But what if you think about it another way: “Those who can, do and rethink teaching.” That’s the aim of Merrill Brown, who has been a “do’er” for years, helping to start Court TV, being the founding editor-in-chief of MSNBC.com, and a founder of News21. Now he’s going to rethink journalism education from the ground up by being the founding director of the School of Communication and Media at Montclair State University in New Jersey. Brown was involved in the launch of the City University of New York’s Graduate School of Journalism, but this time it’s a startup of another flavor: a large undergraduate school that will have links to the entrepreneurial world. I had a chance to talk with him literally the week he started at Montclair State last month, and he told me the school was in its first semester of students. Consistent with the whole entrepreneurial notion, the school's got to stay current and we have to get some of these [startup] folks ... to pass through the campus." How will the new school keep up with new technologies in digital media? How can it become a local, regional and national leader? I talked with Brown in-depth to find out more. Below is an edited transcript of our conversation, along with a few audio clips. 1. What attracted you to the job? Merrill Brown: A number of things attracted me to the job at Montclair State. Going in at this moment in time at the development of a new school is consistent with lots of things I’ve done over the years in terms of developing new projects at their early stages. Whether that’s companies or individual projects or educational initiatives, I like being able to really shape things and this is really that kind of opportunity. It’s not literally a startup, but it has many characteristics of a startup. I’m also attracted to trying to get [it right] — these challenges that journalism and communication education faces, right from the beginning and address them in contemporary ways. You know about my News21 experience. I’m proud of it and what it has become. It also demonstrates a piece of what we’re trying to do with Montclair and that is to get the university and its faculty and students involved in the actual creation of content that has real value in nearby and regional communities. 2. You mentioned News21, which was an attempt to bring innovation to existing schools. 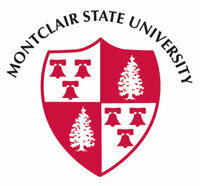 Were there things in that program that you learned that you will bring to Montclair? Things you wouldn’t bring? Brown: Well, what worked was giving the students in the program the opportunity to learn from professionals across skill sets, and get that training in a real and practical way. I found really capable people in multimedia and Flash production and so on, and brought them in so students could learn from experts and learn on the fly. They had the opportunity to create content that wasn’t just limited to consumption by members of the university community but was widely distributed. News21 has done a lot with conventional media distribution. Our stories were picked up by the mainstream press. We did a whole hour on CNN. News21 proved that students can create impactful, high-quality work. That’s something News21 has proven over and over again. I can bring some of those techniques and that world view to the school to say to media partners, to say to the community that undergraduate students can create important work that can have real value. In terms of what it didn’t do so well, it was challenging to fully integrate existing faculty into what we were doing. That was challenging there and will be challenging at Montclair because faculty members have their categories of expertise and I want to try to break some of that down while also nurturing their domain expertise. I want to help them break out of those silos a bit and take advantage of other disciplines. 3. Some people say students coming out of journalism school need to know everything, from video to audio to computer programming, while others say it’s better to become a specialist. What’s your philosophy? Brown: My philosophy is a hybrid of that. They need to know a little about almost everything and a lot about a limited number of things. To come out of a program like this and not have a sense of what hyper-local is, or not understand what the value of a tablet is, or not understand something about mobile — we’re talking about students and practitioners — and a broad overview of everything is mandatory, but at the same time they need to develop deep knowledge of very specific things like platforms, business models, multimedia and so forth. I’m a little bit on the fence about this, but if you come out of a program like this without understanding the breadth of what’s going on today at a high level we’ll have missed an opportunity. 4. You’ve been involved with the Knight Foundation, where Eric Newton has come out strong about journalism schools having a “teaching hospital” methodology. What do you take from Knight’s ideas in creating your school? Brown: There is a Knight/Dodge Foundation grant to the school, and the bottom line is that we’re headed toward a version of that [teaching hospital model]. One of the things going on at the campus that really excites me is the real-world stuff that has teaching hospital components. Debbie Galant [from Baristanet] joined not too long ago, and there’s a relationship with New Jersey public radio that exists on campus. This regional work within the New Jersey Commons project is now fully a part of the School of Communication and Media and it’s a great opportunity. The nightly New Jersey news, a high-quality nightly show broadcast around New Jersey and on WNET in New York, is produced on campus and in partnership with the University. They’ve got the makings of a whole lot of components for the students and the faculty, which needs serious development strategy around how it’s done. 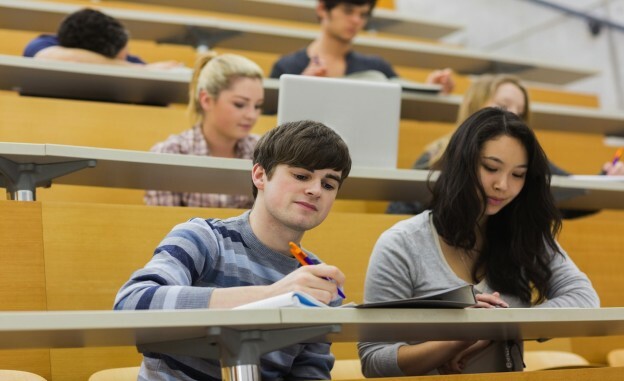 We’re working to find the best ways to optimize student engagement. 5. You said you would continue doing work with startups while running the school, and even incorporate some of that work into the school. How would you bring those two worlds together? Brown: In order to try to lead the organization into some of these new areas, I’m very concerned about staying current. And one way to stay current is to stay involved in the model of a business school professor or dean rather than the way communications and journalism schools see themselves. So I will stay involved, and I want to bring early stage founders and their teams into the school, as appropriate. I had dinner with a CEO who is doing very aggressive data management and that’s a very important set of skills moving forward. So will we be incubating, will we be doing new company work within the school? We don’t know yet, but consistent with the whole entrepreneurial notion, the school’s got to stay current and we have to get some of these folks whether it’s new platform development or a video startup company — those folks have to pass through the campus. 6. What would you like the school to be known for? In the future, when people are talking about Montclair when it comes to journalism, what will the watchword be? Brown: I would say three things, here in my early tenure (laughs). One is being as contemporary and nimble as we can be about how we train people. Two to be as cutting edge as possible in our academic research. We have great faculty capability around social media, and nurturing that from a research point of view. I think there’s a real dearth of academic research and work around the impact of digital journalism, of social media, of new forms of television programming. It’s fertile territory. The final thing is to become a hub for real content to help people in our community and region better understand what’s going on in their civic life, in light of the changing nature of local media. If we could make progress on those three approaches, it would go a long way to defining what the school could be. What do you think about the challenges of starting a new communication and media school? How would you do it? Share your thoughts in the comments below.